Can problems with your neck cause problems with the ears? 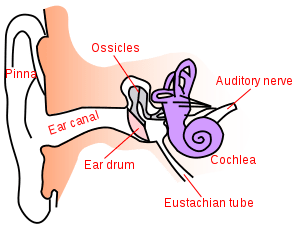 Meniere’s Disease, Cochlear Hydrops, Tinnitus, hearing loss, chronic ear infections and even vertigo can frequently be related to trauma to the nerves from the upper neck (lower brain stem area) that go into the ears. Upper neck trauma can lead to a variety of different ear problems due to the neurological connection. Dr. Michael Burcon in Michigan has done excellent work in researching the connection between the upper neck and conditions like Meniere’s Disease, tinnitus, vertigo and others. Burcon has established a link to these conditions with whiplash injuries that misalign the base of the skull with the top of the neck creating a lesion affecting the Eustachian tube. About half of these traumas are caused by car crashes and the other half from injuries involving head trauma. Burcon believes that the correlation was not made because it takes an average of fifteen years from the time the patient was injured until the onset of symptoms. Patients typically get diagnosed with these conditions in middle age. Their injuries most often happened during high school or college years from a car accident, sports injury or fall on their heads. Few patients list these old injuries on their doctor’s admission paper work. 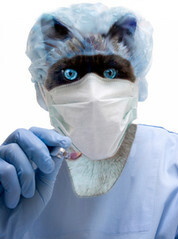 In fact, they have often forgotten about them, believing they were not hurt if they were not admitted to the hospital. That is the situation with one of our recent patients. Will had been diagnosed with Cochlear Hydrops by his EENT and told that it would continue to get worse and there wasn’t much he could do about it. After reading an article that I wrote about upper cervical and Meniere’s disease, he found some hope. After his initial 6 weeks of care Will had noticed a 90% improvement in his ear symptoms and chronic neck pain! Have you been diagnosed with Cochlear Hydrops, Meniere’s, vertigo or other ear related conditions? Have you ever had your upper neck thoroughly evaluated to see if the underlying cause could be there? Correct the cause and end the suffering! Botox, Brain Surgery or NUCCA? Cranial Nerve Compressive Syndromes such as Trigeminal Neuralgia, Bell’s Palsy, Hemifacial spasm or palsy and others. Are among the most devastating of all health conditions both in pain and social impact. The medical approaches to these conditions are extremely invasive, including botox injections. Botox, or Botulinum toxin as it is known in the scientific community, is a neurotoxic protein produced by the bacterium Clostridium botulinum. Another possibility for patients suffering from these types of conditions is a type of brain surgery called Microvascular decompression is a neurosurgical procedure that can have serious complications including death, stroke, hearing loss and facial weakness. The surgery itself can cost as much as $70 K and has about a 20% success rate. If a person has a history of head or neck trauma another question should be asked. 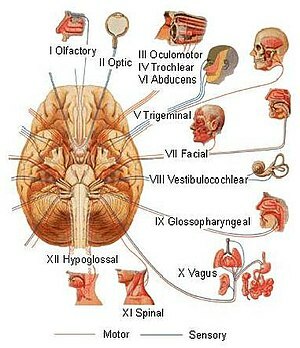 Is the dysfunction of these cranial nerves related to a misalignment of the upper neck? New research is suggesting just that. A recent article published in the Journal of Upper Cervical Chiropractic Research entitled Resolution of Hemifacial Spasm Following Specific Upper Cervical Chiropractic Care. Dr. Lucian Henry describes a case study of a 48-year-old male who was able to find the solution to his condition without Botox, brain surgery or any of the side effects. 48-year-old male presented with left hemifacial spasms of one-year duration, accompanied by neck pain and tension. He reported a tic causing the left eye to blink that sometimes forced the eye to almost close. He described constant neck pain, centrally located, with tension and grinding on movement. He received a total of three chiropractic adjustments over a 13-day period of time, after which time he had a complete resolution of his symptoms. At a 3 month follow up the patient was still asymptomatic. If you have these types of conditions get your upper neck properly evaluated by a specialist in the detection and correction of these misalignments in the upper neck. If you are in the Southern California area go to www.nuccawellness.com for more info. 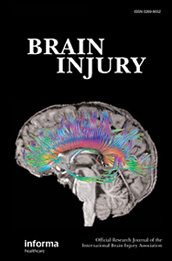 If you are located anywhere else in the country go to www.upcspine.com or www.nucca.org to find a specialist in your area.